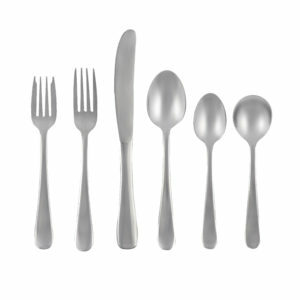 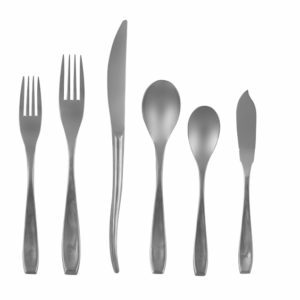 Hammered Flatware is a popular choice for any formal or informal settings. 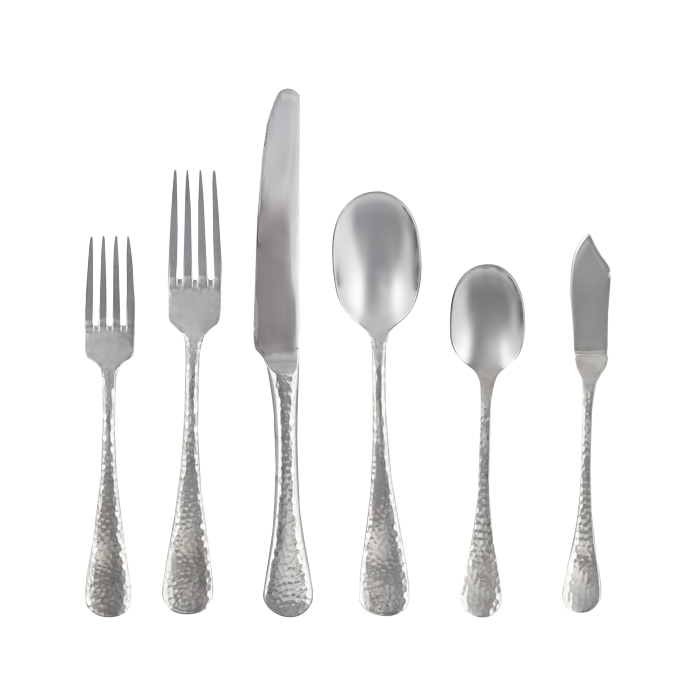 The pattern is unique and upscale, which adds to any special occasion. 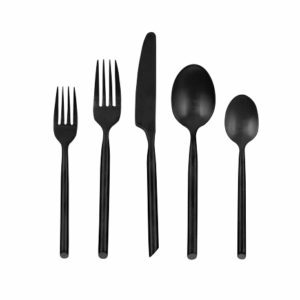 Sets consist of a dinner knife, salad fork, dinner fork, soup spoon, and teaspoon.